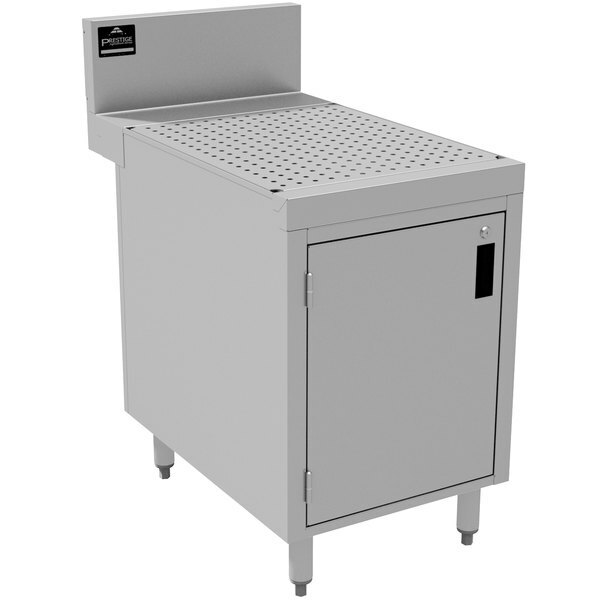 Advance Tabco PRSCD-24-12 Prestige Series Enclosed Stainless Steel Drainboard Cabinet with Doors - 12" x 30"
This Advance Tabco PRSCD-24-12 Prestige series enclosed stainless steel drainboard cabinet is part of a complete lineup of upscale underbar equipment. Items found within the Prestige series of underbar equipment line up perfectly with each other, creating a uniform look across any bar. In addition to a number of eye-catching features, this item boasts an extended 7" backsplash and rear deck, a removable perforated drainboard, and a 1" IPS drain to create a truly one-of-a-kind unit.